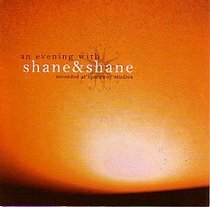 Shane & Shane is a Texas-based, Christian band known for acoustic praise and worship music. The band consists of Shane Barnard (vocals, acoustic guitar) and Shane Everett (vocals). They are often joined by their drummer and manager, Joey Parish. Their albums include Psalms. Carry Away, The One You Need, and more.